Analyst Guest Insights: Paul Stockford of Saddletree Research, Inc. shares insights about how to best maximize your contact center technology investments. For example, read more about how WFO and IVR investments can be better leveraged to improve your results. Besides my gig at Saddletree Research, the company I founded 18 years ago, I also work under contract as research director for the university-based, not-for-profit National Association of Call Centers (NACC), which provides me a deep reach into the end-user community for research and discovery regarding industry trends, issues, concerns, purchase intentions, etc. While the majority of the research we do at the NACC is quantitative, for our 2016 year-end study we decided to focus on qualitative information. To get a feel for what contact center issues customer service professionals are most concerned about going into 2017, I conducted 20 interviews in December. In a nutshell, I asked the study participants what issues are keeping them up at night when thinking about their contact center(s) in 2017. What we discovered during these interviews were two overriding concerns for 2017. First, the main issue noted by the majority of interviewees pointed toward human capital issues, whether hiring enough people, finding the right people, or reducing personnel turnover. I’ll write about that issue in another post. Many of the customer service professionals I speak with feel that the best solution to the problem of technology under-utilization is usually additional training, and I can’t argue with that. I would, however, also propose looking beyond the usual remedies and think about how else your technology investments can be working for you. Consider, for example, how the use of your interactive voice response (IVR) system might impact your workforce optimization (WFO) strategy, and vice-versa. IVR is typically thought of as a “set it and forget it” technology solution, sometimes adjusted for seasonal or promotional activities, but otherwise left alone. IVR, however, holds as much actionable customer experience information as any other solution. Applied analytics can uncover data that is useful for smoothing operations while simultaneously addressing anomalies in complementary technologies, including WFO. When managers and supervisors become aware of a problem or operational challenge in the contact center, they typically turn to performance dashboards to find the root cause, but a quick look at the IVR might also help. For example, there might be adjustments that could be made in the IVR menu that could impact the volume or types of calls that are going to agents rather than to self-serve options. Similarly, a look at IVR data might help identify fluctuations in call volumes that can be addressed on the WFO side to prevent service level problems in the future. On the other side of the equation, IVR data should also be used proactively and strategically as needed to adjust agent schedules, for example, to prepare for known fluctuations in call volumes. The best way to improve the customer experience on the front-end is to use the IVR to help the customer get to his or her goal as easily as possible, preferable through automated self-service, while also ensuring that there is adequate agent coverage for those times the customer opts to speak to an agent. By looking at the IVR and WFO-generated customer insights as a single entity rather than separate ones, enterprises can strengthen the value from both solutions, and an improved customer experience is likely to follow. Looking at IVR together with WFO as a single entity is just one example of how different technologies can be brought together to address the objective of optimizing the customer journey. The new year offers new opportunities to think strategically about maximizing your contact center technology investments. Paul Stockford is a contact center industry analyst with 20+ years of experience. His primary area of focus is in emerging and high-growth technologies. Learn more from recent publications and more at Saddeltree Research. 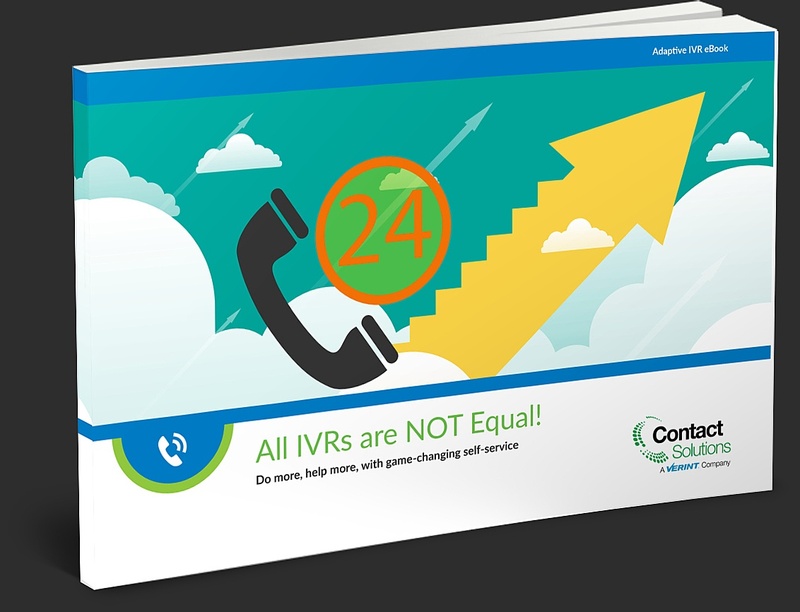 Discover how all IVRs are not equal, and how commodity IVR routers prevent you from maximizing your tech investment. Most people think IVRs are like Zombies. They’re mindless and boring in conversation. They’re pretty much all the same. You can only expect so much of them, and they’re never going to get any better. But they’re also one of the enterprise’s busiest customer engagement points – one that could make or break how an interaction contributes to customer experience. This blog explores how to make IVR better through analytics, personalization, and continuous improvement—and how that can have a profound effect on customer experience and contact center performance.